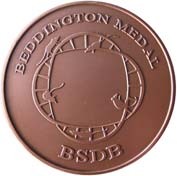 Every year, the British Society for Developmental Biology (BSDB) awards the Beddington Medal to the best PhD thesis in developmental biology. 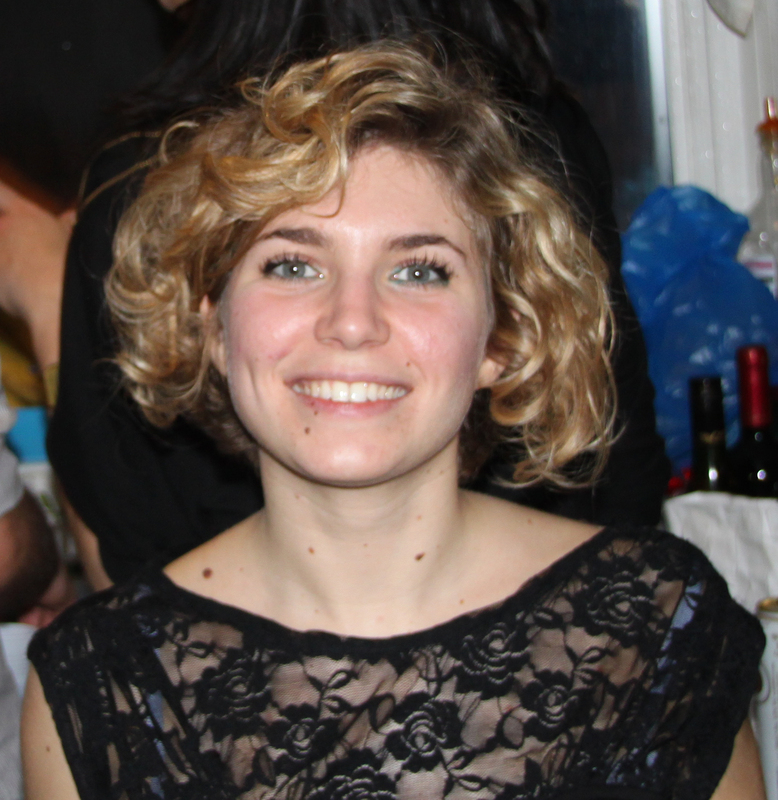 The 2016 award went to Elena Scarpa, who did her PhD with Roberto Mayor at University College London (UCL). We caught up with Elena at the BSCB/BSDB Spring meeting, and we asked her about her thesis work on the neural crest and what she is doing now. Congratulations on winning the Beddington Medal. What does this prize mean to you? I am very happy about this prize. I moved from Italy to the UK to do my PhD, which was a big change for me. I knew my science background was good, but at UCL I was surrounded by people who had come from excellent universities, like Cambridge or UCL, and my university in Italy was not recognised in the same way. Some of the other students in my PhD course were foreigners as well, but they had studied in the UK. So receiving this medal is a big achievement. This prize also recognises the communal effort that went into this project. It was a lot of work, not just from me but also from the people I collaborated with and helped me. I think this prize also reflects well on Roberto. I am the second student from his lab that wins it, showing that his students are doing well and that he is a good supervisor. Can you tell us a bit more about the lab where you did your PhD? I did my PhD in Roberto Mayor’s lab at UCL. The lab works on neural crest, mostly in Xenopus but also in zebrafish. The lab started out by working on induction and specification of the neural crest, but in the last few years the majority of the lab has worked on different aspects of neural crest migration. The lab had a very nice environment. There were many students, so it was a lot of fun. It seems that contact inhibition is on a winning streak, since last year’s winner of the Beddington Medal, John Robert Davis, was also working on contact inhibition. What is contact inhibition and in what contexts is it important? Contact inhibition is the process by which two migrating cells interact and change their direction of motion after contact. This phenomenon was discovered by Abercrombie at UCL. Roberto likes to say that Abercrombie was based in the same room as the Mayor lab, but I am not sure this is true! Abercrombie and his colleague Heaysman observed that contact inhibition was related with the ability of malignant cells to invade other tissues. Their work was very nice but descriptive, and contact inhibition and its molecular mechanisms did not receive much attention for several years. In 2008 Roberto’s lab published a paper about contact inhibition of locomotion, showing that this process is required for neural crest directionality, and hinting at the molecular mechanism behind it. It showed that cell-cell contacts, planar cell polarity and cadherins are required. However, what I think is interesting about contact inhibition is that it mediates many different types of cell behaviour during development. In the neural crest it mediates collective behaviour (in combination with other processes). However, as John showed in hemocytes, and also in neurons, it can mediate dispersion. In addition, it can be used by certain cancer cells as a driving force for invasion. So the presence or lack of contact inhibition can really change how cells interact with each other. What was your thesis project about, and what were your major findings? Contact inhibition is the process by which cells separate, but many other cells types, such as epithelial cells, stay together and make stable contacts. We wanted to understand better the nature of mesenchymal cell-cell interactions. Are mesenchymal cell-cell interactions like contact inhibition intrinsically different because cells are unable to form a junction, or is there something in the junction itself that changes the behaviour of the cells? My main finding was that, at least in the neural crest, cells that undergo contact inhibition do not express different cadherins. The ability of cadherins to recruit the cadherin complex or the actin complex is very similar, but there is a difference in their ability to polarise the activity of small GTPases, polarising the motility of the cells. This adds to what was already previously known. In the neural crest and in cancer it is well known that E-cadherin is down regulated, and this seems to correlate with the ability of the cells to invade. However, the idea that loss of contact allows invasion does not really make sense. Cells that are unable to make contacts with other cells cannot interact properly with their environment, so in vivo this does not favour migration. Our paper showed that there are other changes in the way cells form protrusions and interact with their environment that lead to scattering and active migration, rather than just the cell-cell contact itself. Other papers had proposed this idea before, but we were able to put it in a developmental framework. You mentioned collaborators. Which labs did you collaborate with? Within the lab I originally worked with Eric Theveneau, and also with András Szabó who is a modeller and helped me with the quantitative analysis of traction forces. During my project we used FRET to obtain more information about the dynamics of how contact inhibition is regulated. For this I collaborated with Maddy Parsons at King’s College London, who had already collaborated with Roberto on other contact inhibition papers. I worked with Maddy a lot, and it took a lot of effort in the first two years of my PhD to get the FRET to work. It is very nice to collaborate with Maddy because she is very available, and happy to try different things. I also established a collaboration for the optogenetics part of the project, since were not able to get it to work at UCL. During my PhD Eric moved to Toulouse, where Xiabo Wang , who previously adapted photoactivation in vivo during his postdoc in Denise Montell’s lab and used a photo-activatable form of Rac. He was familiar with the imaging conditions, so I did my experiments in their microscope in Toulouse. This was a great opportunity to learn a new technique, and I am going to develop optogenetics further in my postdoc. So this collaboration also helped me to define my interests. You have moved from London to Cambridge for your postdoc. What are you working on now and how did you choose your new lab? I now work in the lab of Benedicte Sanson at the department of Physiology, Development and Neuroscience. The lab studies the Drosophila embryo at the global level, examining how extrinsic forces generate collective rearrangements in the tissue. They focus mostly on germ band extension and parasegment boundary formation. My project is concerned with oriented cell division in the early Drosophila embryo. I am looking at how mechanical cues influence the orientation of cell division. During my PhD I looked at cell migration, and how the traction on the substrate relates with the tension mediated by cell-cell interactions. For my postdoc I wanted to develop more my knowledge of tissue mechanics. The Sanson lab is a really good place to develop this interest because the Drosophila embryo is a really powerful system. It is very simple and very easy to access. They also have a great ongoing collaboration with Guy Blanchard from Richard Adam’s lab. Their tracking software is very powerful and allows very fine image analysis. You can track mesenchymal cells like the ones I studied during my PhD, but it is never very refined because it is very difficult to segment the cells. In epithelial cells this type of analysis is possible. Did you find it difficult to change model organism? It is different. In the beginning working with Drosophila didn’t make sense to me. I am used to Xenopus and microinjections. When you come into the lab on a Monday you don’t know exactly what will you do, and choose your experiment based on the quality of the embryos. Because you just microinject it isn’t necessary to plan ahead, but on the other hand you can’t do clean genetics. In Drosophila you have very powerful genetic tools which are very useful. However, you need to plan your experiments. You need to cross the flies, wait, then select them… It just didn’t make sense to me why I had to wait 2 weeks to see the membrane! But you get used to it. Choose something that you really like and that really motivates you. You are going to spend a lot of time in the lab trying to solve problems, so you need a good question that you are passionate about. Also try to choose a good environment, where you will be supported and have interesting discussions. Finally, be creative. Sometimes you get stuck, and if you tried everything and it doesn’t work then you need to think outside the box. Be a bit brave and take some risks.